Location: Main Index » Forum Index » Chevrolet Cars 1949-1954 » 1949-1954 Chevys » The hardest parts to get ?? I made them on my 51 out of upper shock bushings, then I see they are reproduced. Plenty of sno this winter for both of us! Those would be easily 3d printed. 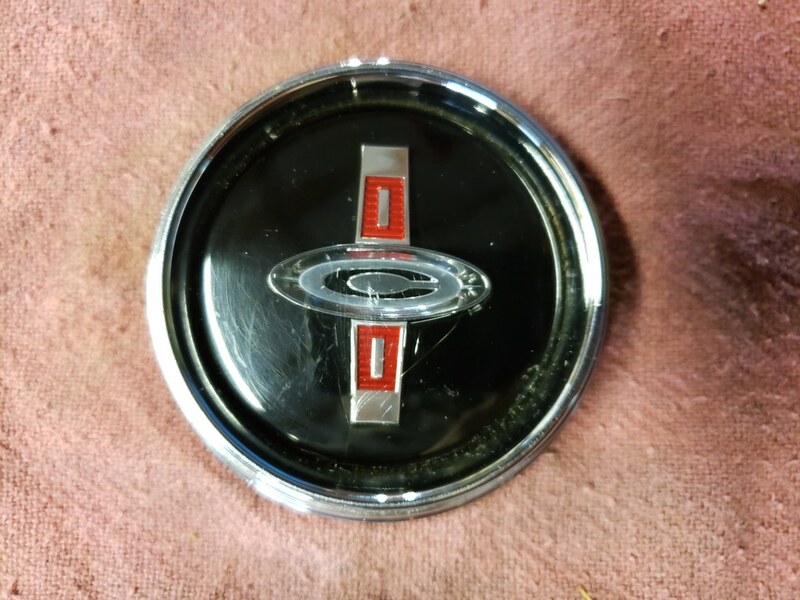 Don't forget about the hard to find Butterfly steering wheel Horn button for the. These are very expensive. 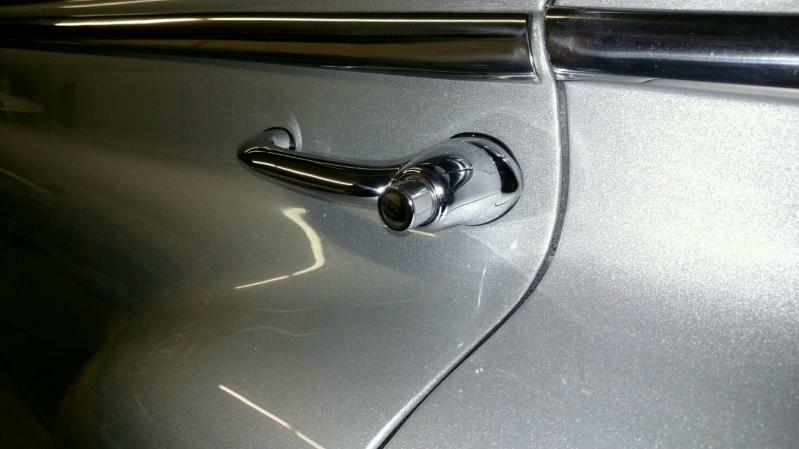 Those Fleetline door handles are not re-manufactured , also the door handle gasket's require modifications to fit. Haven't found any like the originals. Another part I would like to see made for 53 Chevys is an amber parking light lens. They are made for 54, but not 53. I do not know about 49-52. I made my own by grinding down a pair of Jeep CJ-5 amber lenses but would prefer a stock lens. Nice job Vern. They look good. Easy to say, harder to do. Question is what quality. 3D printing capability is going to vary wildly. Especially surface finish and tolerances if the part has to fit into another. Then there is materials. And there is the problem of defining the part's shape and dimensions. Low end 3D printing would look like crap and still cost a bit. High end 3D printing would get it done but be rather expensive. I do have some professional experience with this stuff. I just want to promote realistic expectations. Looks good....my 53 has the original clear glass lens with amber bulbs. They look clear until they are turned on. I use them as turn signals and parking lights. I tried that but I still wanted the amber look when the lights were not on. That's why I made these. I've got a good condition Horn Cap from my '49 Deluxe. Surface scratches. In response to Sheldon Y. You can sometimes sand and buff those out. But don't buff too hard on a buffing wheel...this plastic burns very easily. Go easy! Start with 600 paper if scratches are deep and work your way up. Buff with a flannel wheel and white rouge. Just an FYI. Sure Tony. 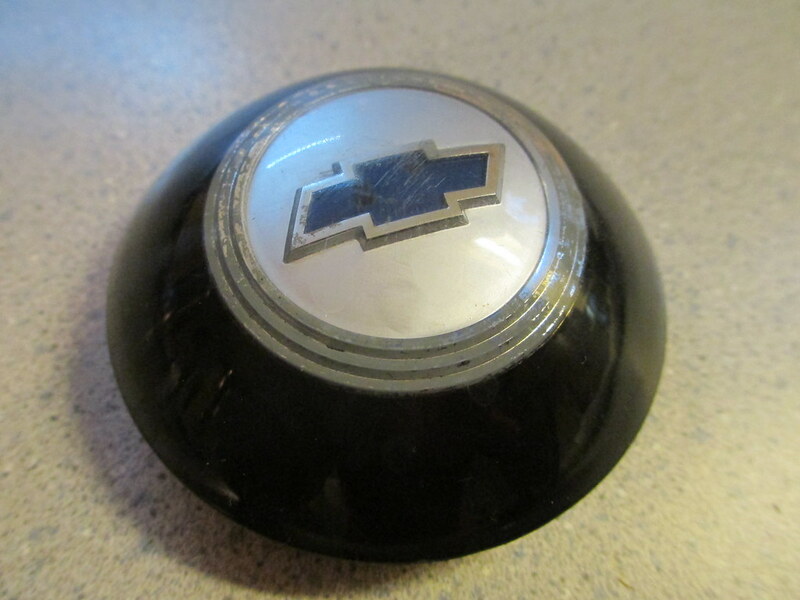 This happens to be a 1950 Belair / Convertible cap. You can see how some of the inside chrome plating has worn away. It also has some scuffs on the surface, but those can be sanded and buffed out. I'll update this post and upload a few more photos once I get home. This was not a very good design as far as construction is concerned. It ended up being a VERY snug fit into the steering wheel itself and when being removed for service, either the cap or the wheel ended up getting damaged / chipped. I have found that if you heat things up with hot towels and use window bones, you can sometimes remove them and minimize and ideally negate any damage. Not familiar with these horn caps, however, I am very familiar with Corvair plastic reproductions. 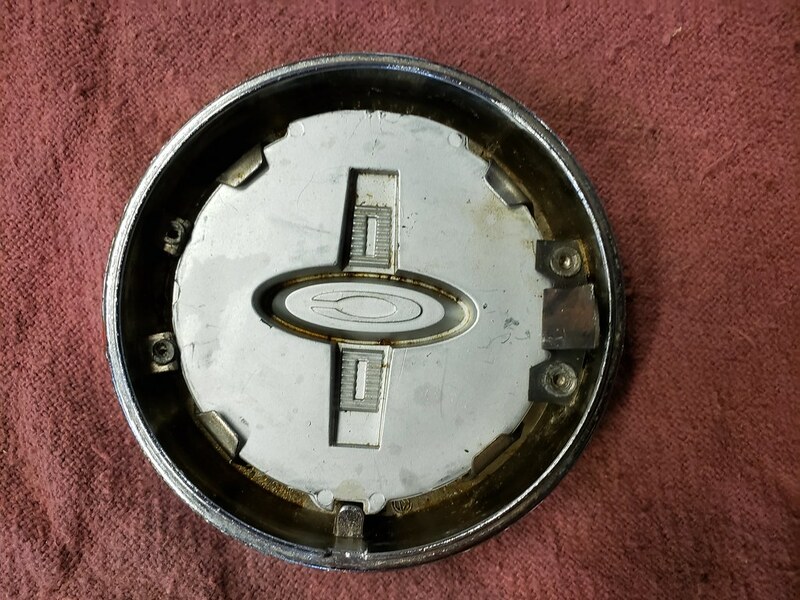 The front emblem on the 1964 Corvair has similar chrome, and what was learned while doing this reproduction, is that the mold had to be highly polished on the inside, so when the silver paint was applied, it appeared to be "chrome". The same was true with the blue of the bowtie. After the originals were reproduced in Taiwan, and were sold out, my friend that had done these, tried to have them done in Mainland China. They were unable to reproduce the quality of the original reproductions. The reason for his going to Mainland China was that the company that had done them in Taiwan had gone out of business, and the original molds were lost. I have always told my friends, when you see a part that you need or want, buy it. When you see a quality reproduction, buy it, even if you think that it is high priced, because in a few years, it might no longer be available, and a re-run might not happen. Todays crazy prices will be tomorrows bargains. 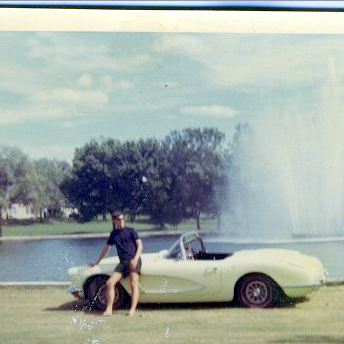 Thanks for posting those Corvair horn cap pics. I believe the silver paint that you can see on the back is a seal coat. And more specially that the chrome you see from the front is actually plating that is done before the other colors an the silver seal coat goes on. 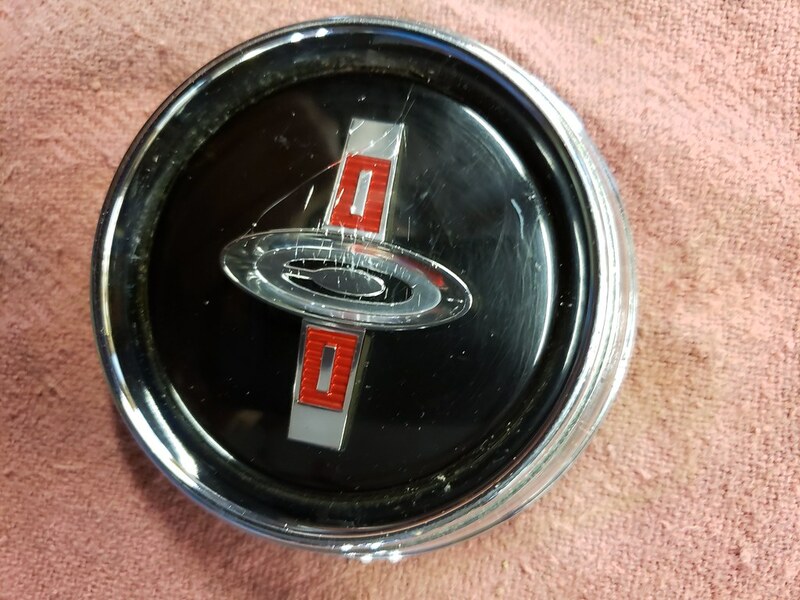 Not withstanding, the inside of the cap does require an extremely smooth finish for the paint [and chrome plating] that does go on to look correct. So very true. When I had the bodywork on my 210 convertible done my body guy threw away my piston covers because they were so rusty. Years later I found a place in So. Cal. that was reproducing them and I snapped a pair up. It was CarsInc that had them. 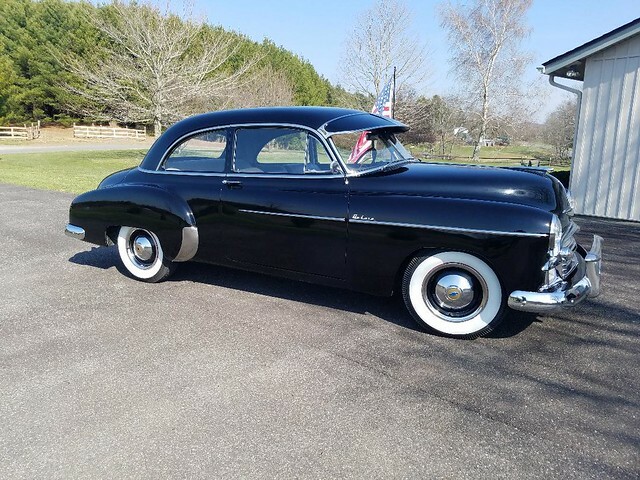 Then they stopped selling '53-'54 parts, but today I see they have them listed on their website again. Who knows when they'll stop selling them again. Sent a 50 accessory button off to be analyzed. The plating shop I sent it to told me that the Gray color in the cap was painted. Their thought was that all of the chrome was a process called vacuum metalizing. The person I spoke with said that the gray would have to be painted first and then covered so the metalizing could be done. Then it could be sealed over. However they did mention a need for an extreme smooth surface. Hi Tony, that was a trick question wasn't it. But the answer is: "Permission to spend the money on cars." You guys have it easy, try getting Edsel parts. Execution time: 0.068 seconds. Total Queries: 21 Zlib Compression is on.